The EastLink freeway serves one of Melbourne’s key population and economic growth corridors. 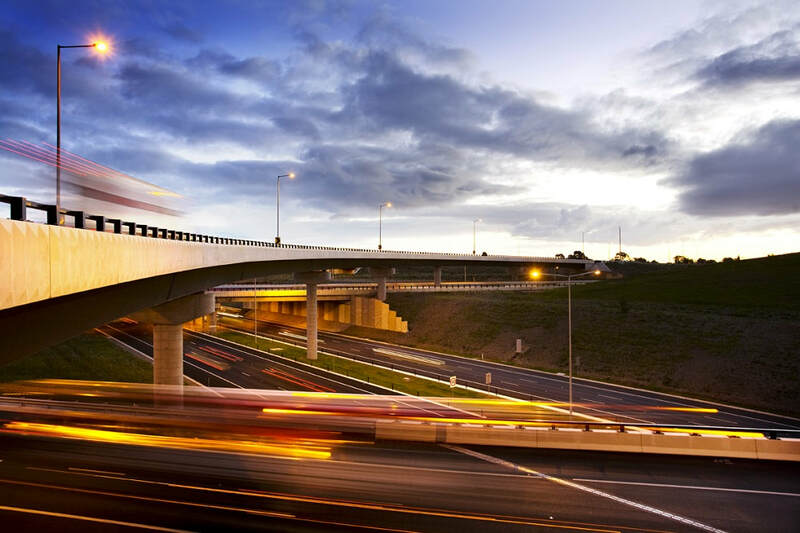 EastLink is a $2.5 billion motorway ($3.8 billion when including all the financing costs) and an over forty kilometre long tollway, (including on and of ramps) connecting communities in the north - south region of Melbourne, Victoria. Melbourne’s east and south - east continues to have strong population and economic growth prospects. Melbourne has a high reliance on the motor vehicle (78% use cars to commute) and the north-south corridor has only limited public transport options to the public. This region serves 37% of Melbourne’s population and one third of its workforce. The population in this region is around 1.5 million people, and will grow to around 2.1 million by 2031. One in three Melbournians live in the EastLink corridor and importantly, the area immediately served by the motorway contains one-third of Melbourne’s workforce. The region also generates 40% of Melbourne’s manufacturing output and is noted for its strong residential, commercial, and industrial property development. EastLink offers relief from traffic congestion on alternative roads and you are less likely to be involved in a car accident. The two main competing routes, Springvale and Stud Roads, have many traffic lights and operate under stop start conditions. The Eastlink freeway will also help reduce fuel consumption, especially if you are driving on a regular basis in the north - south corridor. EastLink delivers real travel time savings, reliability, will reduce your carbon footprint, and offers less stress driving when on the roads for a long period of time. EastLink also connects near the four major growth centres which are designated by the Victorian Government for investment and job growth. They include Box Hill, Ringwood, Dandenong and Frankston. The new Peninsula link project will be completed in early 2013 (now open) and will connect with EastLink near Frankston and the Mornington Peninsula freeway in the south. It will extend for over 25 kilometres with two lanes in each direction. The untolled motorway will cost $759 million to build and will reduce significant traffic congestion in the Frankston region. A deluge system for fire suppression. Lane closure and variable speed signs. Help telephones and mobile phone coverage. Radio re-broadcast and public address facilities. Emergency walkways at road level for easy access. Overhead warning message signs and emergency lighting. Exits illuminated by strobe lighting, running man symbols and directional arrows. 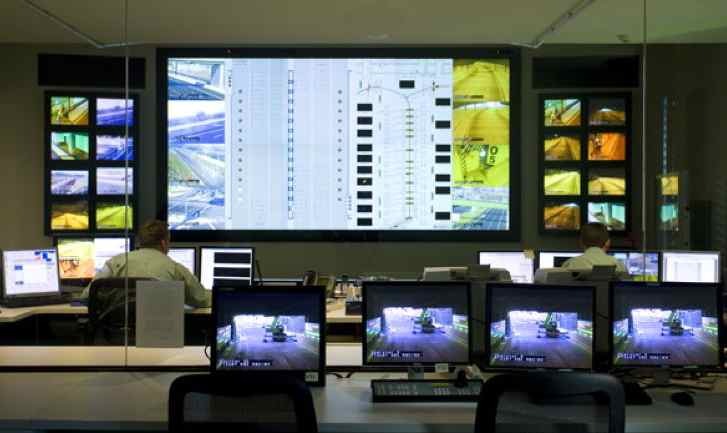 The control centre monitors the operation of the tunnel 24 hours a day / 365 days a year. Cross passages every 120 metres, with fire safety doors providing direct access to the adjacent tunnel. Ventilation system, including a smoke management exhaust system using jet fans, to maintain air quality and driver visibility at all times according to Environmental Protection Authority (EPA) standards. These systems are linked directly to the EastLink Control Centre, located just 500 metres from the tunnel entrance, ensuring a quick and effective response if an incident occurs. The EastLink tunnels also have a unique feature to prevent over-height vehicles from entering the tunnels. Vehicles exceeding the tunnel clearance limit are detected before entering, triggering warning signs and the lowering of boom barriers installed at the tunnel entrances to block access. 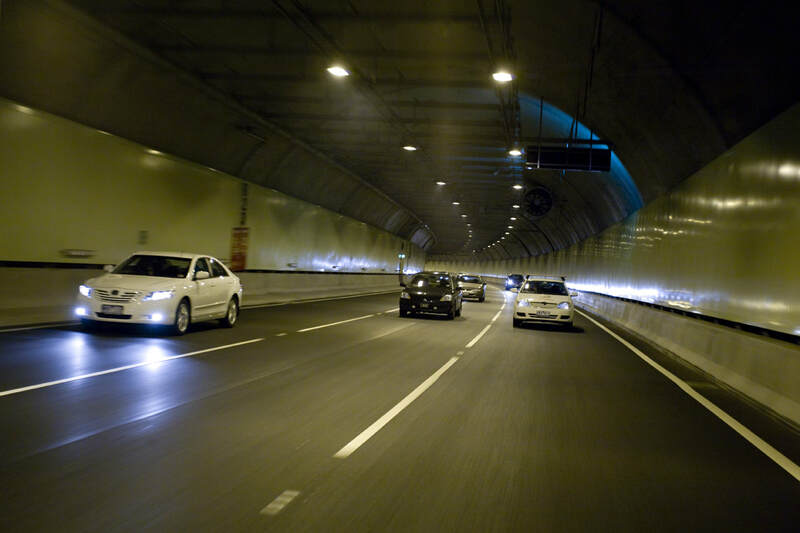 The barriers can also be lowered if an incident has occurred inside the tunnels to prevent any potential harm to approaching motorists. Incident management plans are in place to meet the requirements of all emergency services. This requires an initial response time of less than 2 minutes and a comprehensive response within 10 minutes. The Trail features 35 kilometres of bicycle and walking tracks as well as connections to many existing bicycle paths adjacent to the roadway. It is a $26 million investment in the community by Connect East, the owner, operator, and manager of EastLink. Starting just east of Mitcham Road in Donvale, the three metre wide concrete path winds its way through the Mullum Mullum Valley and heads south connecting the Dandenong Creek Trail before crossing Greens Road in Melbourne’s south-east. 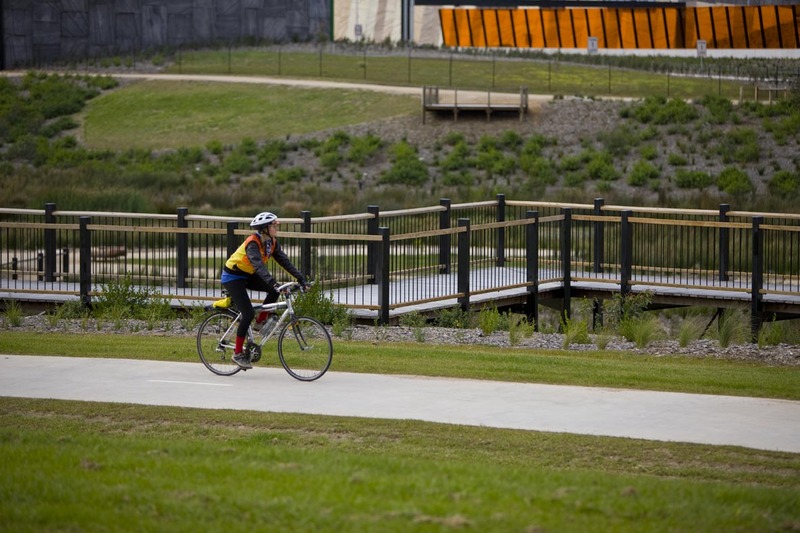 The EastLink Trail links cyclists and pedestrians to the extensive network of pathways that extend from Seaford to the city, taking in many different types of the environment, including wetlands, parklands, creeks, and natural bush settings. Recreational walking, jogging, and cycling opportunities have been enhanced in the east and south-east region of Melbourne, as has the community’s ability to enjoy open parkland and reserve areas. Large parks including Jells Park and Koomba Park. Around 60 wetland areas including Oakland Park in Noble Park North. Connections to the Dandenong Creek trail and the Port Phillip Bay trail network. Sculptural artworks situated along the Trail as part of the $5.5 million EastLink collection. The historic Schwerkolt Cottage in Mitcham, an original stone cottage in a garden setting. It is a shared path for walkers, runners, skaters, dog walkers, people with prams and bike riders. The Eastlink freeway was opened in June 2008 and the current estimated daily traffic is 250,000 at an average speed of 94km/h in 100km/h speed limit zones. This makes Eastlink one of the busiest tollways in Australia and the fastest road in Melbourne. Eastlink may connect with new freeways in the northern and western region in future years. It will reduce traffic congestion and move traffic around Melbourne more efficiently, reduce travel time and potential accidents on the freeways, and help reduce our carbon footprint. Do not panic if you end up on the EastLink freeway, and you do not have a tag or a trip pass. You have up to 3 days to pay for a single trip pass. If you do not pay within the 3 days, you will pay an extra additional invoice fee and the standard trip fee. You can also buy trip passes in advance. You can avoid this fee by buying online or contacting EastLink by phone. Tag accounts cost $40 to set-up and this amount includes trip usage. These Tag accounts also have 20% discounts on weekends and public holidays. If the price of fuel keeps rising and if there is more traffic congestion on our roads, the cost benefits of a Tag account will help offset the overall costs when using Eastlink on a regular basis. Note: Permission has been given by EastLink’s General Manager Corporate Affairs & Marketing Manager in 2017 to access Eastlink’s photos and content. Information was also sourced from the Connect East’s Annual Reports and their websites.